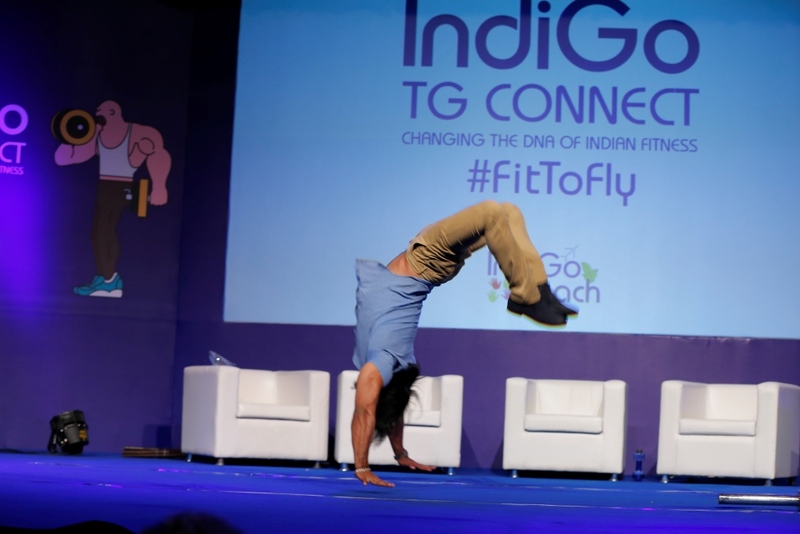 In its ongoing efforts to inspire people about fitness and healthy lifestyle, IndiGo collaborated with one of India’s leading fitness influencers and trainers Tarun Gill to host ‘TG Connect’ Conclave as part of its flagship FitToFly programme under IndiGoReach – company’s CSR initiative. With an enthusiastic participation from over 675 Mumbaikars, the conclave celebrated the journeys of fitness role models from different fraternities and emphasised on the importance of following a holistic approach to fitness and lifestyle. The conclave brought together inspirational personalities who have showcased extra ordinary commitment to fitness including distinguished names from bollywood and entertainment fraternity such as Actor, Model and Bodybuilder Sahil Khan; National Wrestler champion Jadgish Kaliraman who coached Salman Khan and Anoushka Sharma for Sultan; Actor and ‘Mr. India and World 2015’ Thakur Anoop Singh; Two Time Ironman Triathlon winner Abhishek Mishra; and Founder – Case Paradox Navin Ansal who narrated their fitness transformation journey and dispelled myths related to health and lifestyle. This is the first time ever that these fitness gurus have come together to ignite the will in Mumbaikars to lead a fitter life. IndiGo collaborated with Tarun Gill in December 2016 to launch FitToFly, a year-long programme that aims to create an environment for fitness and healthy lifestyle not only for its employees but also for the community at large. Through this partnership, Tarun Gill, will take IndiGo’s fitness mantra forward amongst enthusiasts including differently abled youth through his health workshop series ‘TG Connect’.